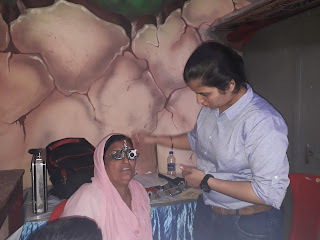 29-November-2018, Mumbai: The Don Bosco Development Society (DBDS), Mumbai organized a free health & eye check- up camp for the residents of Sangam Nagar slum in Antop hill. 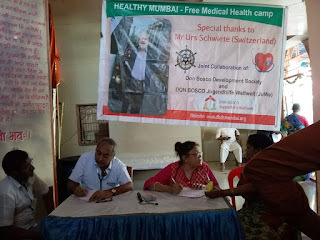 156 patients (77 women, 54 men and 25 children) were examined and given medicines free of cost in this camp held under the aegis of project supported by Mr. Urs Schwiete (Switzerland). Ms. Akila Ansari (DBDS-Staff) welcomed the doctors and their Para-medical staff. 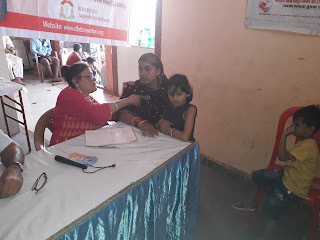 The objective of this health camp was to provide needed medical care to patients. Patients were screened for vision problem, anaemia using a symptoms questionnaire. 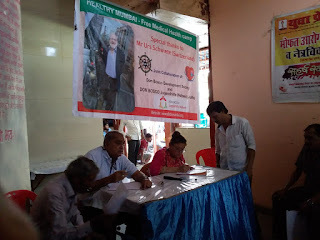 Dr Dinesh Badani, Dr.Smita Trivedi and Mr. Pramod along with 1 Nurse and 2 Medical Social workers examined the patients during this health camp. The doctors distributed iron, vitamin tablets and skin ointment to patients who were anaemic & suffering from fungal infections & Scabies. 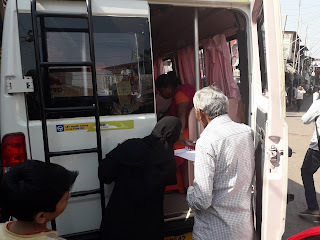 The DBDS staff and volunteers from the Self Help Group were extremely helpful as they helped in logistical arrangement such as putting chairs, tables, arranging water, visiting families in slums and informing them about the health camp and in managing the crowd. 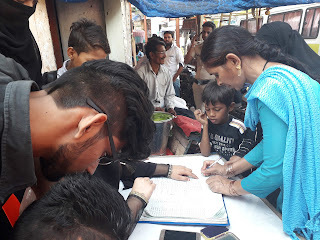 The doctors suggested that people in this slum need awareness on management of Sugar level and Blood Pressure as many patients were observed to be suffering from diabetes and High Blood Pressure. 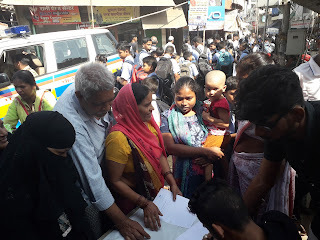 “Free health camp with free medicines is a great help for poor people like us, we are very grateful to Don Bosco for this service,” said Mr. Manoj Kamble (one of the beneficiary of the health camp). He also proposed the vote of thanks at the end.